Willie carving along the wave! 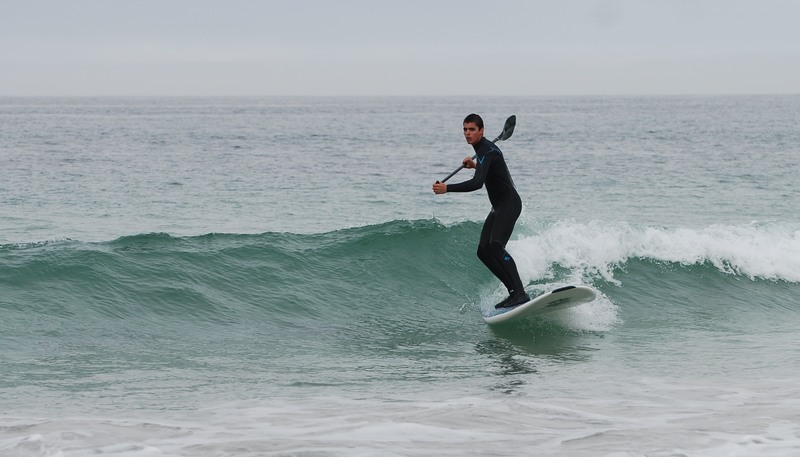 Stand up Paddle Surfing (SUP) is an alternative to regular surfing or kayaking/canoeing. 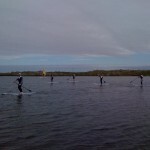 SUP is great for fitness, very good fun and works perfectly in flat calm conditions! 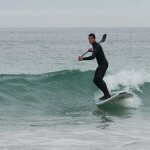 This cross breed of paddling and surfing appeals to a wide audience and on the right equipment, is surprisingly easy. 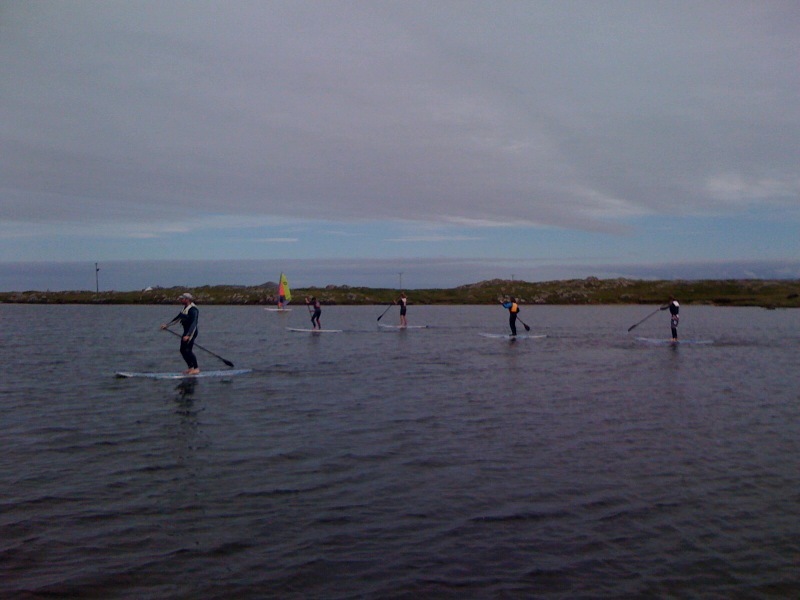 Tiree offers an abundance of SUP spots. The calm waters of Loch Bhasapol lead you on to Gott Bay, Crossapol and eventually the larger and more challenging surf on the west coast of the island. A full range of conditions within ten miles of one another. 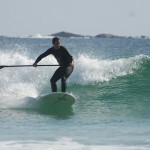 Tiree is the perfect spot for SUP and SUP is a great ‘no wind’ alternative for windsurfers and kitesurfers, and is a perfect ‘small swell’ alternative for surfers. Our hire and instruction of SUP is run on a very flexible basis working around you and the predominant weather conditions. We will operate in a wide variety of venues and water surface conditions. This means that no two lessons or paddling sessions are the same and therefore the learning curve of this sport is a very steady and progressive one. Ideal first time beginners waves for SUP! A typical format would involve an introduction to SUP on flat water in the morning for new clients and then after lunch allow the clients, with their newly found paddling experience, the opportunity to try and catch some waves at a wave beach (conditions dependent)! This includes transport from the centre to the chosen venues for the day and returning to the centre at the end of the day for the full ‘Surf-fari’ experience! All courses are BSUPA certified and we are able to offer BSUPA level 2 courses, as well as the BSUPA level 1 courses. Our hire fleet comes from Tiki and Fanatic. Tiki SUP soft deck boards are great boards for all ages and abilities and the perfect board to introduce the sport with. We have Fanatic Boards for those keen to try wave riding.